Obituary for Roger Douglas Goodwin | Crouch Funeral Home, P.A. 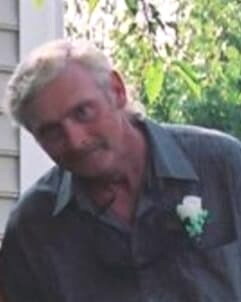 Roger Douglas Goodwin, Sr., 64 of Aberdeen, MD, passed away Saturday, April 13, 2019 at home. Born in Havre de Grace, MD, on September 16, 1954, he was the son of the late Alva, Jr. and Pauline (Aleshire) Goodwin. Roger enjoyed spending time with his children and grandchildren. Survived by two daughters: Angel M. Goodwin-Hailey (Heath) of New Orleans, LA and Jacqueline R. Goodwin of Conowingo, MD; three sons: Rodger Goodwin, Jr. (Lisa) of North East, MD, Ray Goodwin (Cassandra) of Rising Sun, MD and Marcas A. Goodwin of Port Deposit, MD; one sister: Sandy Kennedy of NC; three brothers: Danny and Timmy Goodwin of DE, David Goodwin of NC; grandchildren: Courtney, Brittney, Matthew, Dillon, Noah, Alexis, Cadance and Emily. Funeral services are Thursday, April 18, 2019 at 11:00 am at Crouch Funeral Home, P.A., 127 South Main Street, North East, MD, with visitation beginning one hour prior to service. In lieu of flowers, the family asks for donations to help with funeral expenses, in care of the funeral home.